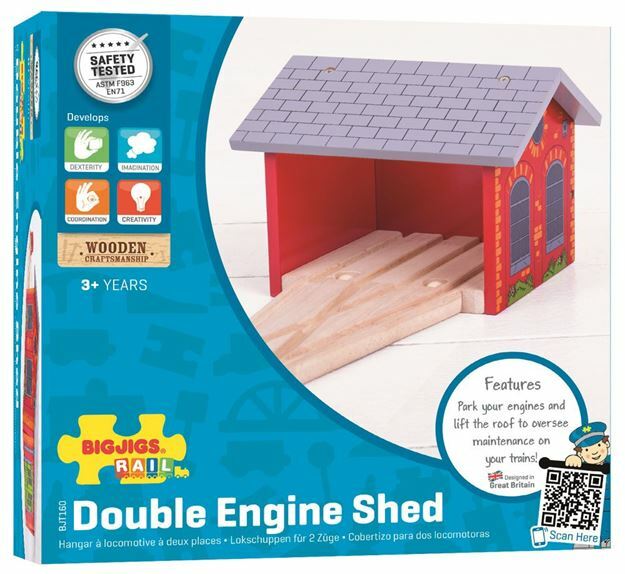 A great addition to your wooden train set, this Bigjigs Rail Double Engine Shed has room for two engines in need of a service. Features a detachable roof enabling young mechanics to easily oversee any maintenance repairs that need to be carried out. Includes: a double engine shed and wooden splitter track. Age 3+ years. Compatible with most other wooden railway brands. Distributed in New Zealand by Holdson.